The Rahul Gandhi-led Congress party is expected to announce merging the 5 different GST rates into one pegged at 18% in its Lok Sabha election manifesto. New Delhi: Congress party will scrap the current structure of goods and services tax and adopt a single rate if it wins next month’s federal election, people with knowledge of the matter said. 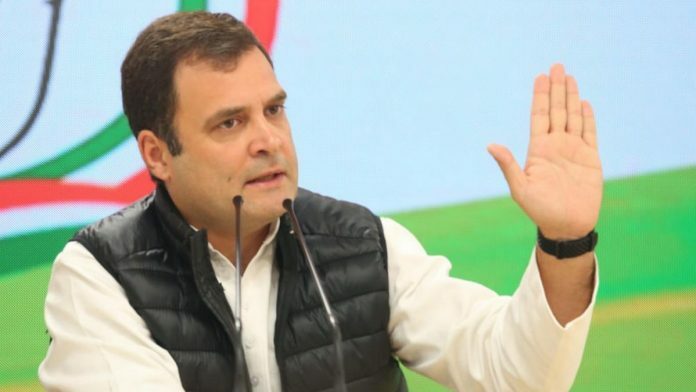 The Congress party, led by Rahul Gandhi, will pledge in its manifesto to merge five different GST rates into one pegged at 18 per cent as it prepares for polls slated to run from 11 April to 19 May, the people said, asking not to be identified citing rules for speaking with the media. The Congress has been critical of the multiple tax rates in the current GST regime adopted by Prime Minister Narendra Modi’s administration. Modi’s Bharatiya Janata Party-led coalition government launched the country’s biggest tax reform since independence on 1 July, 2017, replacing more than a dozen levies to create a single market with 1.3 billion consumers. The government has been cutting tax rates on some goods and services in a move to revive consumption and boost the economy. Sushmita Dev, a spokeswoman for the Congress party declined to comment. Finance Minister Arun Jaitley, who led the panel that adopted a five tax slab structure, has said a single GST rate can’t work at the moment, but the nation may further simplify the tax regime and eventually move toward a single rate. The party will also pledge to provide a federal youth unemployment allowance, they said. Modi has been criticized by the opposition for not fulfilling his promise of creating 10 million jobs each year — a promise that won him the hearts of India’s youth in the 2014 election. In the absence of timely and credible data, it’s difficult to estimate the number of jobs created during Modi’s term. Separately, the Congress party is likely to pledge a one-time farm loan write off and focus on “ have nots” in a bid to win voters. The party will also promise a minimum income guarantee to the poor, said M.V. Rajeev Gowda, convener of the panel drafting the Congress’s manifesto, in February.